From the day a freshman student arrives on campus to the day he or she leaves with a degree, CWU is committed to making sure they have access to a variety of resources needed to succeed. Many of those resources are directed through the office of the Dean of Student Success. They include such areas as academic advising, career services, disability services, student recreation, health and counseling, housing, wellness, and academic success initiatives. 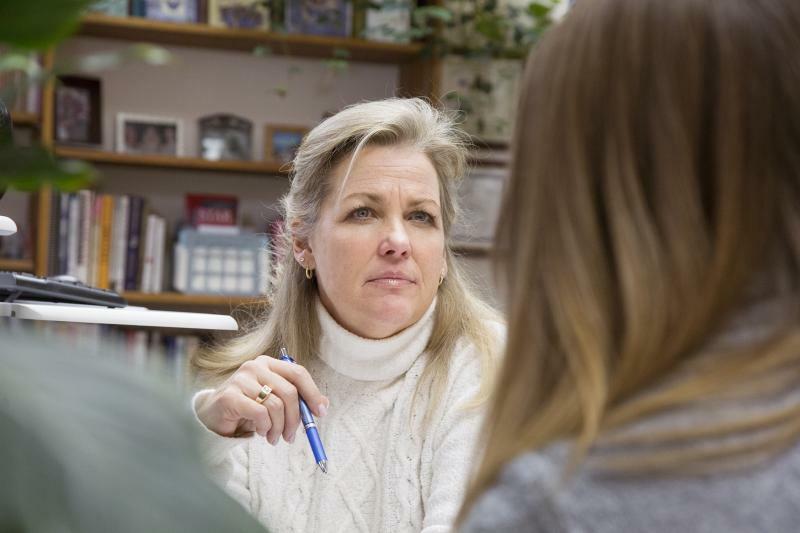 “I have always worked with students who have struggled academically,” says Carolyn Thurston, Central Washington University’s Academic Success Initiatives director. However, despite her title, Thurston’s work often involves issues unrelated to a student’s academics, such as an illness at home or problems with a roommate. Thurston has an extensive background in both academic advising and student support services. After initially enrolling at CWU to study art—painting, specifically—she earned her bachelor’s and master’s degrees in English. In 1997, Thurston was hired as English Specialist in the Academic Skills Program. Five years later, she became an academic advisor in TRiO Student Support Services. She went on to create and, in 2007, launch the Student Transitions and Academic Resources (STAR) program, which provides intensive support to certain at-risk college students, who may otherwise not have had the chance to pursue higher education. In addition, Thurston is trained in basic, family, and victim-offender mediation, is a mediation trainer and instructor and served for several years as a board member, mediation trainer, and volunteer with the Dispute Resolution Center of Yakima and Kittitas Counties. She also finds time to teach the university’s Basic Mediation class as an adjunct CWU law and justice faculty member. Thurston makes use of her well-honed conflict resolution skills in helping faculty, staff, and students resolve problems, while facilitating academic success initiatives, and, ultimately, supporting students toward degree completion. Thurston has found technology to aid in her efforts, including the web-based academic “early alert” system, with which CWU faculty can notify students and their advisors that a student is struggling in a particular class. Despite growing up as the daughter of a highly-regarded fifth-grade classroom teacher in Tacoma, Thurston never envisioned herself working in education. Those same traits—care for student learning and respect for their overall well-being—remain her focus. Even so, Thurston says, “all of life is school” and she has one maxim that she offers all of her students. Editor’s note: Ellensburg Community Radio (http://eburgradio.org/) helped provide content for the development of this article.